I recently bought a number of items from Australia, USA and the UK as I've started re-building my collection. All I collect is anything related to the Howard Devoto period and was lucky enough to find a really great bloke called Kez who sold me some of his items, mainly re releases of Spiral Scratch. I've not had time to photograph them yet but I will and will upload it all here once done. For now here's a taster. 1. 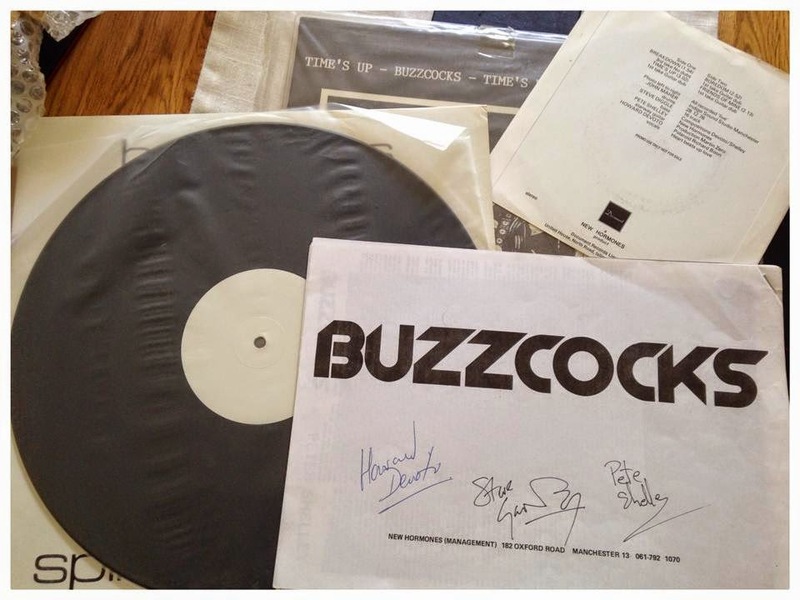 Buzzcocks, New Hormones photocopied promotional pamphlet for the reissue of the Spiral Scratch E.P. signed by Howard, Steve Garvey and Pete Shelley. 2. And here's the W/Label promo for the 12" Spiral Scratch release along with the promo copy rear cover for the 7" e.p. and underneath it all is the Time Up Bootleg. I have another two of these different labels I think.